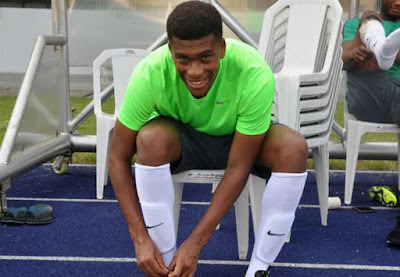 Gernot Rohr has handed Alex Iwobi the number 10 role for the Super Eagles upcoming matches against Senegal and Burkina Faso. It is the position in which his uncle, Jay Jay Okocha excelled in for the national team during his days. The development follows the absence of Captain Mikel Obi from the squad. Iwobi usually plays on the left forward position but this time he'll be in the midfield. He will play as part of a midfield three alongside the duo of Eddy Onazi and Leicester City highly rated defensive midfielder Wilfred Ndidi. According to reports, Oghenekaro Etebo who has been widely tipped to play behind the striker will now play from the left, while Victor Moses will play from the right.